Over the past week, the Taliban has led a number of attacks in the country. 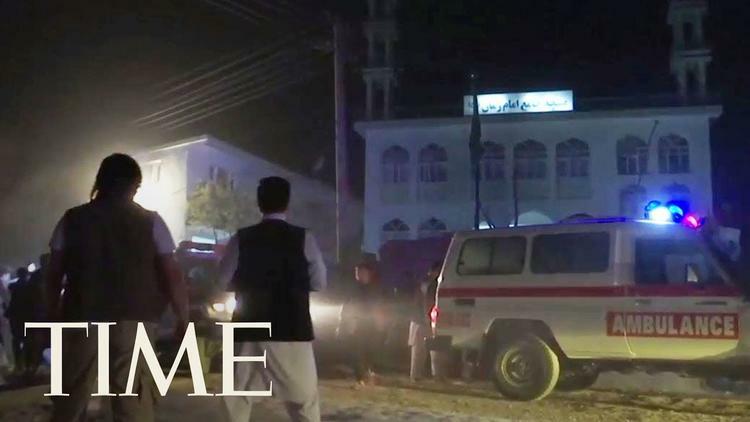 Suicide bombers have attacked two mosques in Afghanistan, killing at least 72 people, including several children. In Kabul, a bomber detonated an explosive in a Shia mosque during Friday prayers. The interior ministry spokesman Najib Danish said 39 people died. The Islamic State group says one of its suicide bombers detonated a vest at the scene but provided no evidence to support the claim. In a separate bombing at a Sunni mosque in central Ghor province, a police spokesman said at least 33 people had been killed. The second attack appeared to target a local leader from the Jamiat political party, according to a statement from Balkh provincial governor Atta Mohammad Noor, a leading figure in Jamiat. Afghanistan’s Shia population has been heavily hit this year, with at least 84 people killed and 194 wounded in attacks on Shia mosques and religious ceremonies, according to a UN report released last week. The Islamic State group said its fighters had carried out many of the bombings. But over the past week, the Taliban has been responsible for many other attacks, killing 130 people. On Wednesday, Afghan security forces were targeted in an ambush which nearly wiped out an army camp in the southern province of Kandahar. Two other attacks on the same day left six policemen dead in the northern Balkh province and another nine were killed in Farah. Just a day earlier, the Taliban had also launched a number of other attacks, killing at least 74 people. As a result, Kabul has refused to hold peace talks with the group, but the CIA Director, Mike Pompeo, is still promoting attempts to bring the Taliban back to the negotiating table. As the U.S.-led invasion of Afghanistan reached its 16-year anniversary, the Taliban has reiterated its opposition to “America’s arrogant politics and evil policy,” noting that it is “not tired nor will it feel fatigue” in its ongoing war to expel occupying forces from the country.